Our Standard Rooms are available in two styles, both of which offer comfortable yet functional accommodation in Kimberley. Standard Queen rooms have one Queen bed plus en-suite bathroom with shower and bath combination. Additional comforts included in each room include a flat-screen television with select DStv channels, air-conditioner, in-room safe plus tea and coffee making facilities and complimentary WiFi to ensure you stay connected. 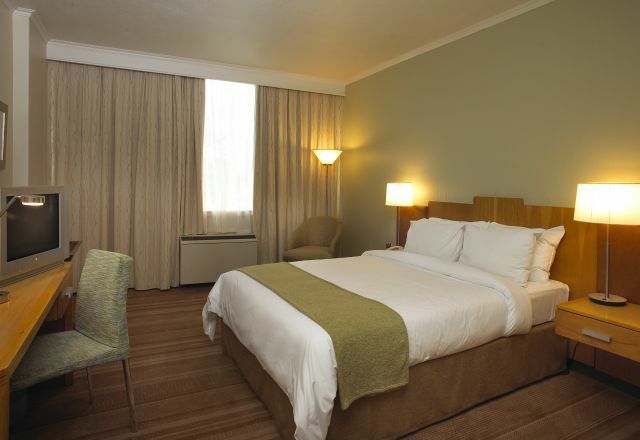 Superior Standard Rooms have a sleeper couch, mini bar fridge and 32inch LCD television.